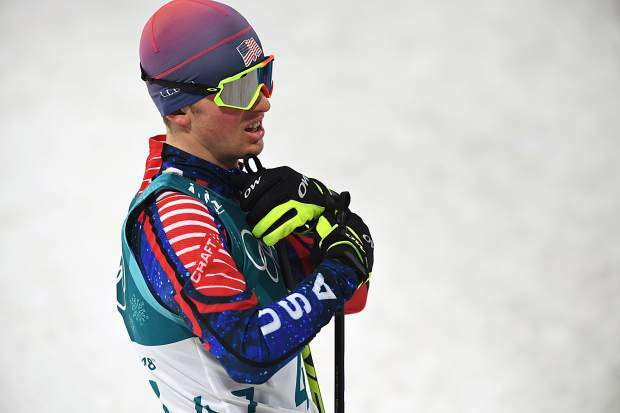 Jasper Good catches his breath after competing in the normal hill Nordic combined event at the 2018 Winter Olympics. PYEONGCHANG, South Korea — It used to be a joke among the class. “Some day” in an official sense became Feb. 9 and while they didn’t gather for a mini reunion, they didn’t sit down and swap old stories, four recent graduates of Steamboat Springs High School acknowledged to each other via text messages and, when they saw one another, hugs, that together and individually, they’d accomplished something extraordinary. 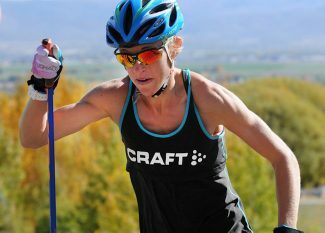 Freestyle moguls skier Jaelin Kauf, halfpipe snowboarder Arielle Gold and Nordic combined skier Jasper Good were all in the Class of 2014 at Steamboat’s public high school. Ben Berend, also in Nordic combined, was a year ahead, graduating in 2013 but has no shortage of ties to that group. All four were there on a cold Korean night for the Opening Ceremonies for the 2018 Winter Olympics in Pyeongchang, South Korea. They’re have a pretty good winter, too. Gold won a bronze medal in women’s snowboard halfpipe at the Olympics. Dierdorff placed fifth in men’s snowboard cross and Kauf is leading the women’s World Cup standings in freestyle skiing moguls. 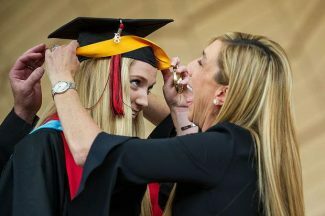 That big contingent of public high school grads is both part of living in an Olympian breadbasket like Steamboat Springs, and a part of the high school’s uniquely cooperative approach with elite skiers. On one end, athletes like Berend, Good and Gold were Steamboaters long before they were Sailors, growing up in the town and progressing through its school system. On the other, Steamboat Springs High School’s flexibility helped draw Kauf and her family to town before she started high school. 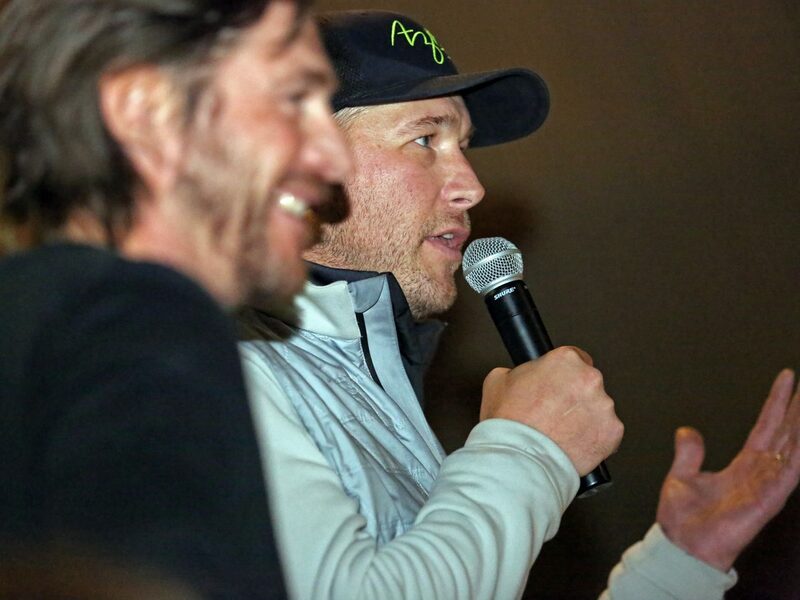 The family had another burgeoning competitive skier in Skyler Kauf, Jaelin’s older brother, and with their mother, Patti Kauf-Melehes and stepfather Squeak Melehes, the family set out for a better solution. They found Steamboat, not a private school, but the public school. The school offers a skier’s schedule, and it’s not easy. Gold took advantage, attending class from 7 a.m. to 4:30 p.m. three days a week during the winter. The payoff, then, is getting out at about noon two days a week to allow for training. 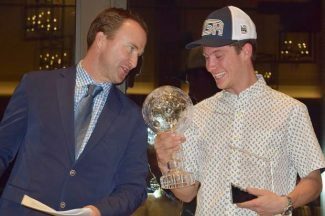 “They’ve got a great program set up uniquely with skier schedule,” Gold said. Students weren’t penalized just for missing school for a competition, either, like the Kauf’s had been previously, and it all added up to a more sane lifestyle. The four Olympians who spent those years together still stay in touch and they’ve frequently run into one another early at the Olympics. Berend and Kauf dated in high school. When word got out he’d made the Olympic team, she sent him a text. They’ve traded text messages after big competitions in recent seasons and last week they came together as they both realized the same dream, dressed top-to-bottom in Team USA’s Opening Ceremonies gear to pose for a photo. It was a long way from the halls of Steamboat Springs High School.